Rarely does Rosie Huntington-Whiteley disappoint on the cover of our favorite fashion glossies (and she’s fronted several over the past couple of months). 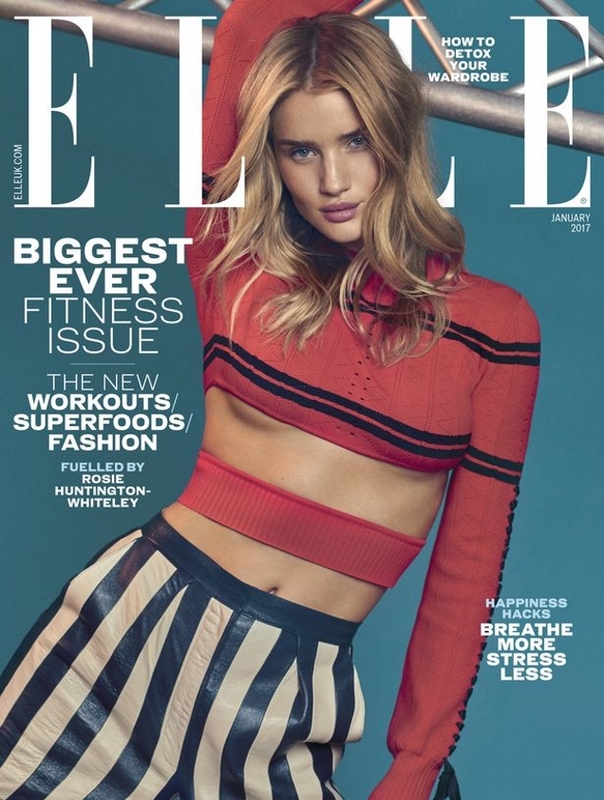 Therefore, it’s no surprise that British ELLE had an instant hit when it was announced on our forums in November that Rosie was set to appear on its January issue. The fitness-themed cover, Rosie’s fifth for the magazine, is finally here and our forum members couldn’t be happier. “It’s finally out and Rosie is just damn perfect!” raved Srdjan the second the cover surfaced, setting the tone for commentary to follow. “Strong cover, love the covers. I know Rosie appears an awful lot on UK Harper’s Bazaar and UK ELLE but I’m absolutely okay with it. It’s very rare for her not to deliver, for me,” added a more than satisfied honeycombchild. WilliamsLe010919 couldn’t have agreed more. “So beautiful. The photography and art direction is top notch here – I just love looking at it,” he stated. “I am impressed with this cover,” forum member TeeVanity simply stated while making his feelings perfectly clear. “I’m so happy it’s not the same boring overly romantic styling Rosie’s had in all her last covers. I’m very bored of that but I really like this cover!” appreciated June. “By far her best British ELLE cover! I would’ve cropped the skirt/trousers out, but it’s still OK,” Benn98 pointed out. Yet not everyone was entirely thrilled. “I really don’t like this cover. The styling, the clothes, the pose…everything! She has such a limited range as a model it is unbelievable,” slammed an unforgiving KissMiss. “Cover looks very lackluster to me. She looks bored,” Handbag Queen descried. Await more from Rosie’s latest cover shoot and let us know what your opinion is here.